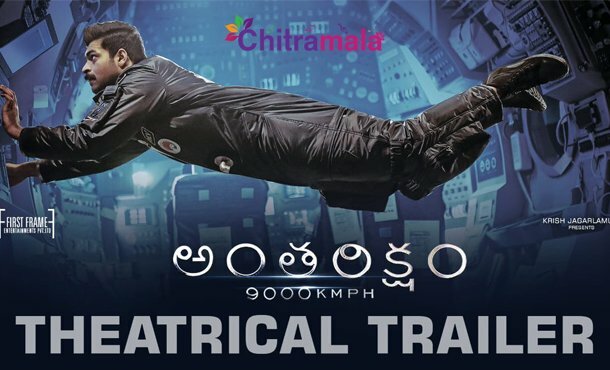 After scoring two back to back hits like ‘Fidaa’ and ‘Tholi Prema’, Varun Tej is all set to enthrall the audience with Tollywood’s first ever space thriller film, ‘Antariksham 9000 kmph’. ‘Ghazi’ fame Sankalp Reddy is helming this project. The makers have unveiled the trailer of the film today. The video hinted that the movie is going to give an eye feast for the audience. The trailer started introducing an Indian satellite ‘Mihira’ which went out of control and Varun Tej as Dev with Aditi Rao Hydari as Riya with some other astronauts sets out to save the earth. Apart from the story, the spectacular visuals and astounding background score are the major highlights of the film. The dialogues are awesome. The one ‘Satellite is like a soldier and we should think of how to win only’ is grabbing the attention. The chemistry between Varun Tej with the two female leads is superb. Overall, the trailer of the film has created a good impression on the film. First Frame Entertainments is bankrolling this project. Prashanth Vihari is scoring music for this film which is all set to hit the screens on December 21st.